After reading the letter from Virgil Moore, please take a moment to fill out the Idaho State Bowhunter’s Survey at the end! There appears to be a misperception among some Idaho lawmakers that the Fish and Game Commission has ignored prior legislative directives to raise revenue and improve habitat and access. These directives include allowing hunters to pay an extra fee to improve their drawing odds for controlled hunts (bonus points), making tags available to land owners for private sale, and auctioning big game tags to highest bidders. We certainly respect the Legislature’s role in setting wildlife policy but the Commission has considered all these issues in recent years and vetted each of them with hunters, anglers, trappers and the general public. In all three cases, a majority made it clear to us they were opposed and we acted accordingly. The Commission continues to explore these and other options and to visit with sportsmen and women about them. However, we have heard and are concerned these directives could become legislative mandates linked to our proposed license revenue bill. The Commission-supported “Price Lock” revenue legislation — House Bill 32, is being held in a House Committee while some lawmakers are said to be working on their own version with these mandates included. If this new version of the bill emerges, it in our view, overrules the Commission process of using science and input from the public as the basis for implementing wildlife policy. The 1938 citizens’ initiative that created the Commission established nonpartisan fish and game management. If lawmakers proceed and attempt to bypass the Commission and implement these measures through legislation, they are compromising the spirit of that initiative by overruling extensive sportsmen involvement and thoughtful Commission deliberations. Manage wildlife for the good of all Idahoans, not just a privileged few. Keep hunting, fishing & trapping opportunities available and affordable for everyday Idahoans. Reward landowners for supporting wildlife habitat or public access without sacrificing state ownership of wildlife. Keep politics out of wildlife management. For 76 years, the Commission, along with sportsmen and women have worked together to create the tremendous wildlife resources and heritage we have in Idaho today. We ask the Legislature to pass the Commission-supported revenue bill without compromising the Commission’s integrity and its management role. The Commission urges you to contact your legislators and let them know what you think about this matter. 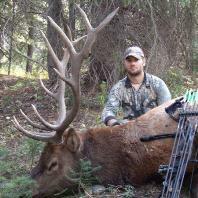 Idaho State Bowhunters Survey in regards to the proposal of HB32. If the sportsmen and women of Idaho would unite, we would be the strongest collective voice in the state of Idaho. We could make Mike Moyle and like minded legislators go away. As a united force, we could possibly have legislators asking us how to proceed to ensure the rights of average citizen hunters. Hopefully this will get the fish and wildlife advocates throughout Idaho buzzed up enough to unite – Idaho’s fish and wildlife, the Idaho Department of Fish and Game and the Idaho Fish and Game Commission need you support. It is way past time to remember these legislators during the next election cycle! I prefer to keep politics out of the Fish and Game! It’s Not over, and I don’t trust those guys at all. This needs to see more and more press- enough so these bozos don’t try it again. Write your legislators, but write or carbon copy the press, as well. Virgil’s letter was excellent, but we need to keep it present – I don’t think a lot of sportsmen know about the ramifications of this legislation. I grabbed this from another forum. “This is minority chairman Donna Pence response to an email. Sounds like they are going to attach this stuff to another bill. Keep the pressure on its not over..
H32 is being held and a new bill written which will attached those things you railed against. It will likely go through the Ways and Means Committee this late in the session. This committee is made up of Minority and Majority Leaders of the House and the committee chairman. The Minority Leadership will be against this move but the vote will be 4-3. When this gets to the floor I see few republicans courageous enough to vote against their leadership. I will oppose it, but you have done what you need to by writing to your legislators and the body as a whole. Urge other to do the same to keep pressure on them. Thank you for siding with the wildlife of Idaho. Keep legislation out of wildlife management. I can only hope the voting sportsmen of this state have a bigger voice than the Representatives pushing this. Also hope the voting public remember these people at the poll’s next time. I know I will Sen Bert Brackett. You Sir are out of office! The F&G Commission was created just for this reason: to keep politics out of wildlife managing. Now our legislators (can you say ranchers) want to line their pockets with landowner tags. Idaho’s wildlife is not for sale!! The point system has been proven to not work in other States and the Idaho sportsmen and women have repeatedly said a emphatic NO to that system!! IDFG need a working fee increase as does any business and this HB 32 is just holding the fee increase for ransom!! Talk about arrogant!! 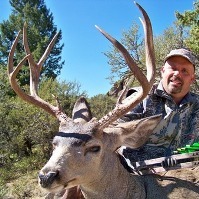 And Rep Moyle has said he “doesn’t care what the sportsmen want!” Talk about arrogant!! Do not pass HB 332 with all the riders attached!! We cant let our wildlife be run by politics. We need to let the biologists from fish and game and the forrest service do what they are hired to do, that are out in the field and know whats happening in our state for wildlife. Not some guy in a suite and tie that sits at a desk. Idahos wildlife belongs to the people and is to be managed based on Biology- not politics! Idahos wildlife is not for sale and hunting should NOT be a contest of who has more money! please don’t pass this bill. I support fee increases but not the rest. Leave the regulation of game policies to the people that actually know something about managing the game…..Politicians that feel they know a better way than the actual experts in the field usually have their own agenda for making a change, and is not to the advantage of the sporting public. I am a non-resident hunter from ND……Our Game & Fish makes their recommendations for the seasons, limits, and fees directly to the Governor for approval without any legislative interference. Our Game & Fish just recently cancelled the Big Horn Sheep season due to losing an estimated 100+ rams due to disease this Winter……Last year was the first time in 5 years that we had a limited Antelope season due to a decline in the herd. The general Deer gun season tags for 2014 was almost 50K less than just a couple of years ago due to the herd being decimated by 3 harsh Winters in a row and blue tongue disease…..The number of Deer gun tags has yet to be finalized, but it will be similar to last year. While we are not happy about reduced tag numbers, we understand that our G & F has the best interest in the management of the animals and the restoration of the herds. Our legislators are not involved with determining the policy…..G & F holds public forums based on their research to explain any changes for reducing tags prior to the final recommendations being presented to the Governor. I sincerely hope that all resident ID hunters take the time to make their voices heard before it it too late…..Keep your control in the hands of your Fish and Game. We can’t let Idaho turn into another utah with legislation running the show! Legislation has no business managing wildlife. That’s why Idaho has a Dept. Of Fish and Game that makes judgement calls based on Biological science and need for this great States wildlife diversity. We must not allow senator’s Bracket and Siddoway to create policies for the IDFG that benefits them monetarily!! Politics has no place in managing our wildlife!! Science based conservation policies should be left up to our IDFG, not politicians!!!!!!!! It would be so unfair to go to the point system for quality animals cause some cant afford to compete in a bidding war. How rude to even think like that. I do support a minor fee increase to help off set costs across the board. In a state where our wildlife is managed great why change a good thing.